The following business organizations provide assistance and resources for businesses. They all hold offices within the Metro South Chamber of Commerce building located at 60 School Street, Brockton. (Visit the Contact Page for directions). Call the numbers below to schedule an appointment time. Southeastern Mass. Score provides free and confidential business counseling tailored to meet the needs of your small business and your personal objectives. Contact SCORE to set-up an appointment to meet with a business counselor to develop your business plan, discuss a new idea or tackle a business problem. SCORE also offers workshops for both start-up entrepreneurs and existing small business owners. A resource partner with the U.S. Small Business Administration, SCORE has helped more than 8.5 million entrepreneurs since 1964. Visit www.scorema.org. Chamber Office Hours: 9:00am to 5:00pm M, T,W and F (most weeks). SDO is an agency which helps promote the development of Minority Business Enterprises (MBE) and Women Business Enterprises (WBE) business enterprises and non-profit organizations by becoming SDO certified. Certification can be used as a marketing tool to enhance a firm’s ability to do business in public markets and with the state government. 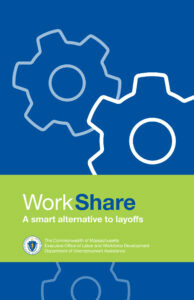 The Commonwealth of Massachusetts spends more than $4 billion a year doing business with firms. More than $240 million is targeted to SDO certified minority and women businesses. Visit www.somwba.state.ma.us. Chamber Office Hours: 9:00am to 5:00pm, Wednesdays. SBA builds and maintains collaborative partnerships with small business stakeholders such as economic development practitioners in Government Organizations, chambers and associations, educational institutions and civic/community organizations. The SBA Advantage Workshop, held the 3rd Thursday of the month at CareerWorks in Brockton, provides information on various SBA programs and services available to prospective or current entrepreneurs who need assistance in starting or expanding their business. Visit www.sba.gov. Chamber Office Hours: By appointment or as needed. MassDevelopment is a unique organization providing low cost financing for businesses and not-for-profit organizations in Massachusetts for every phase of a development project. We specialize in Massachusetts growth. For more information contact Larry Cameron at 508-678-0533. Visit www.massdevelopment.com. Chamber Office Hours: Wednesdays, 9:00am – 4:00pm, by appointment. Call Allison or Tammi at (508) 673-9783 to schedule an appointment. 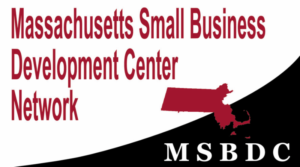 The Massachusetts Small Business Development Center offers existing and future entrepreneurs free one-on-one expert business advice and training. MSBDC advising generally consists of assistance with business plans, obtaining loan and equity financing, franchising, manufacturing, international trade, high-tech endeavors, contracting, marketing and other growth strategies. Visit www.msbdc.org/semass.